GGG Marketing is proud to announce the release of their new website presenting new features, new logo, and a new ambition to bring the very best in online digital marketing. 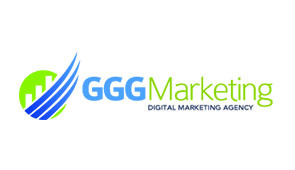 GGG Marketing is proud to announce the release of their new website presenting new features, new logo, and a new ambition to bring the very best in online digital marketing. Known as the top agency in Southwest Florida for SEO, GGG is now opening their doors to ten other cities in the state of Florida. GGG, owned by Gary Guerrero, helps forward-thinking businesses dominate their competition by web exposure, search engine optimization, social media, and email marketing. This new website adds transparency in how they can achieve such success for their clients by categorizing their expertise in four sections: Custom Web Design, Social Media Marketing, Pay Per Click Strategies, and Organic Long Term SEO. These different campaign strategies are proven successes to providing a positive impact for businesses and brands. Under the Long-Term SEO section, there are specific methods available like targeted promotion techniques for mobile campaigns, how to make the content more accessible, and building link profiles. Pay Per Click instantly provides a positive impact on the brand by getting websites promoted to the top of search engines. It's no secret that in today's world practical integration of social media into online marketing is key to engaging with target audiences, and GGGmarketing.com explains how to identify the objectives and develop engaging content that is shareable among the target audience. Combining these procedures with a detailed audit of the website and business gives all involved a better understanding of not only the competition but ways to smooth over obstacles that could affect performance. GGG shows that a thorough audit constructs a solid foundation - opening the door for more online marketing efforts. So whether their client's goals are to gain a flow of new leads, increase the Google rankings, interact more easily with customers, or build more original content – GGG Marketing takes pride in providing clients with many leading, up-to-date tactics that are tailored to the needs of the customer and ultimately increase their revenue. GGG Marketing has earned a well-deserved reputation for their services and commitment to their clients. The company has worked with top industry leaders in real estate, technology, and health care. On top of their innovative web design and online marketing services, they continue to offer impeccable customer service and provide real solutions and strategies for their clients to grow their business. As they branch out to other cities in Florida they are currently taking on a select handful of clients, for more information, please visit gggmarketing.com. GGG Marketing is a devoted team of marketing specialists delivering exceptional results by combining intuitive ideas with years of knowledge and experience. GGG specializes in SEO, PPC, social media, and email marketing resulting in increased revenue and a larger customer base for their clients.